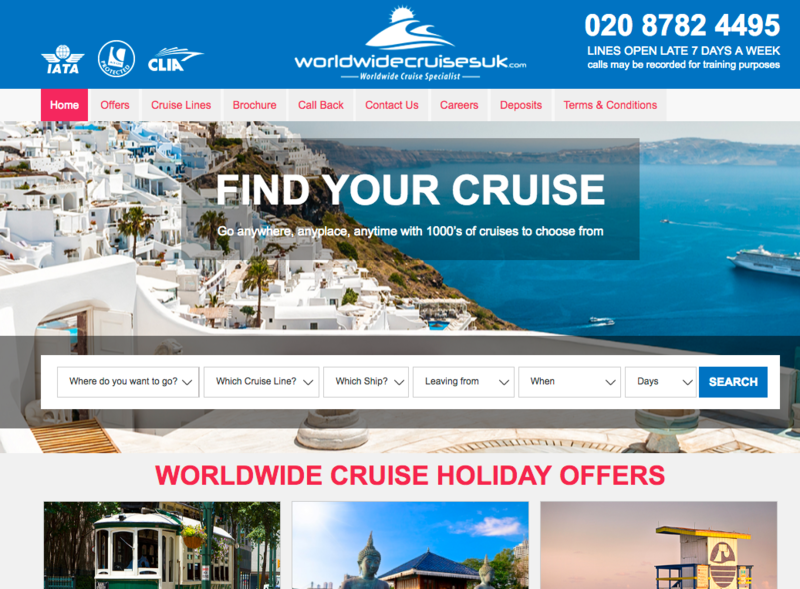 We have the largest database of ocean and river cruises together with detailed ship information, video, galleries and itineraries with the quickest search on the market. 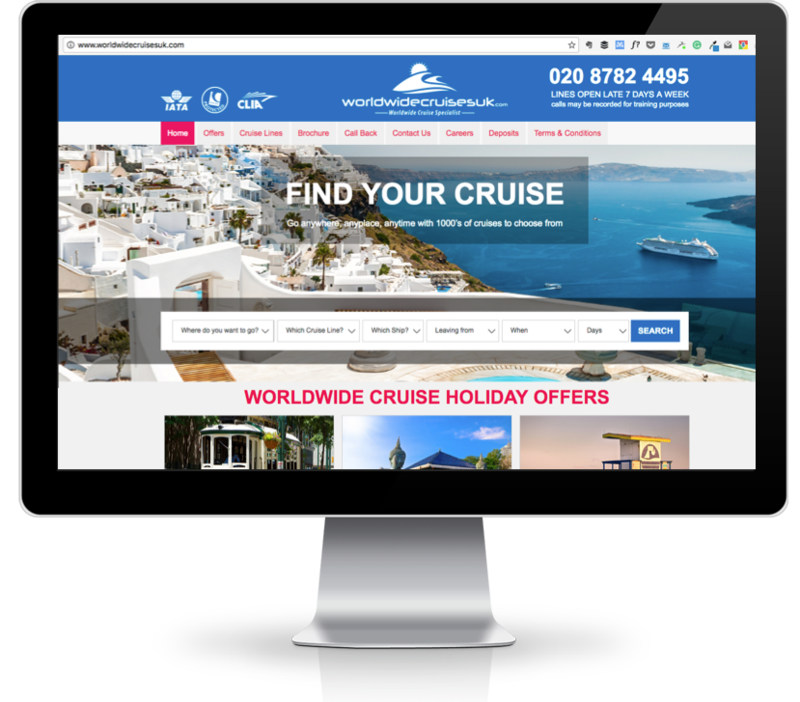 ​This cruise booking engine is now available to add directly to your website or why not use our travel expertise to create a new cruise focussed website for your business and attract high quality cruise clients. 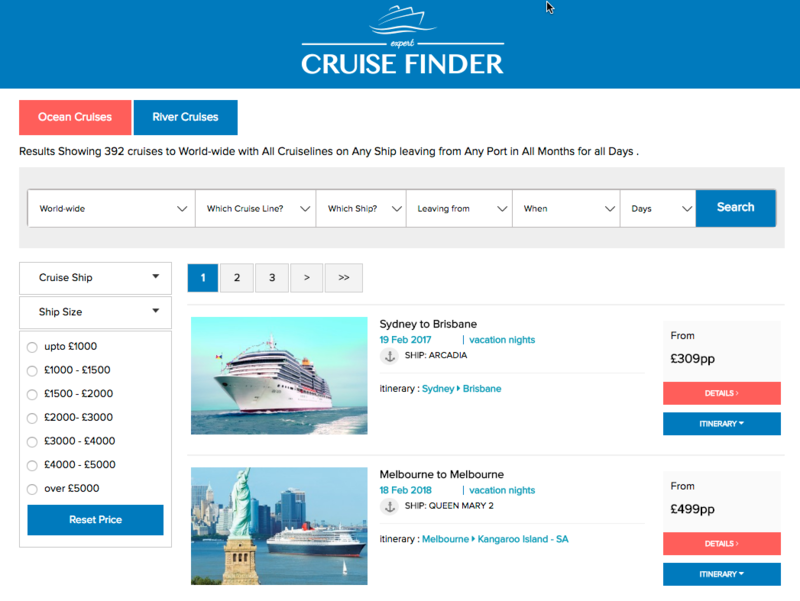 The ExpertCruiseFinder cruise booking engine for travel agents websites is the essential tool for your website. 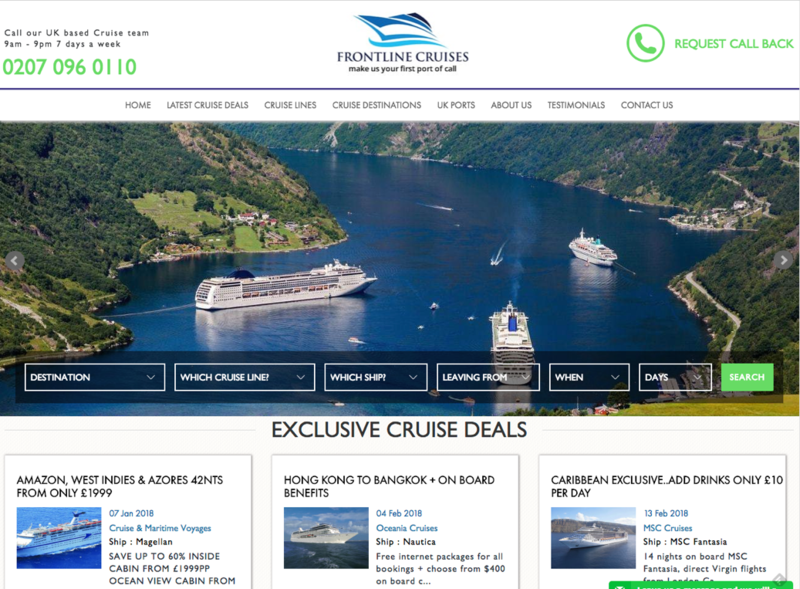 Our high quality ship image and video library ensures that users can view detailed ship images in full screen ensuring that users stay 'sticky' on your site without the need to search elsewhere for information.